Reids Place located is on Scarborough Road, Scarborough. 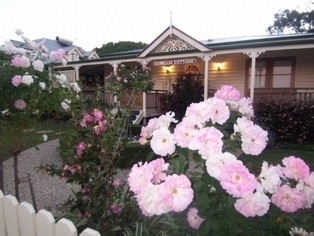 It is surrounded by beautifully maintained gardens, offers a tranquil and elegant setting for the relaxation and pampering after you've explored the gorgeous Redcliffe Peninsula and Moreton Bay area. 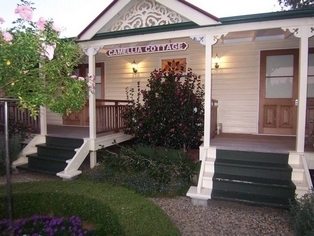 Reids Place presents newly completed Camelia Cottages, which are well appointed, specious and immaculate. Queenslander-style bedrooms feature a gracious combination of rich red timber floors and furniture accented by creamy textures and hues. These are equipped with a spacious living area complete with sofa, entertainment unit, dining table and kitchenette. Scarborough, just north of Redcliffe, is ideally located to access the unspoilt beauty of Moreton Bay or to explore the many wonderful places to visit on the Sunshine Coast. Reception Hours are 07.00 am to 10.00 pm. 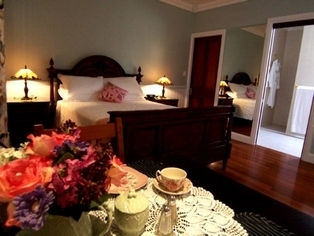 Guests can take tours of the hinterland or Australia Zoo to a romantic dinner at a local waterfront restaurant. You can take a relaxing stroll through the parks, swim at the beach in the calm clean water, hire a boat and catch some local fish or jump on board a tour boat to see the dolphins and whales. Beautiful Moreton Bay 5 minutes walk.